If you wear a self-tracking fitness device like the Fitbit, Nike FuelBand, or Jawbone Up, you probably do it because you’re keeping tabs on your health goals. Unless you’re trying to show off your membership in the self-tracking community, these devices just aren’t pretty enough to wear without a good reason–you’d never buy one simply as an accessory. Sonny Vu, the founder of Misfit Wearables, is aiming to give people self-tracking devices so unobtrusive and attractive that they’ll want to wear them all the time. “Don’t you want a product that you’d wear even if it didn’t measure anything? I tried wearing a Fitbit on a tie once and it tore the silk on the tie,” says Vu, who also acknowledges that he’s still a fan of the device. “We should expect more from wearable technology. To be really wearable, you have to be comfortable wearing it, it has to be useful, and the last thing is it has to be really desirable and precious to wear. 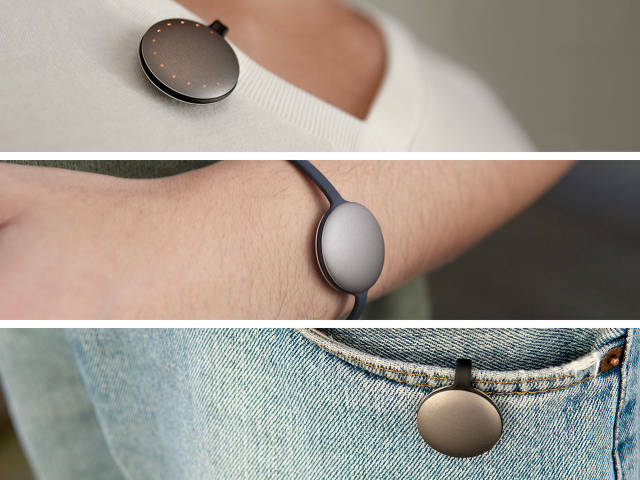 ” Misfit’s first product, a movement-tracking gadget called the Shine, falls on the precious side of things. 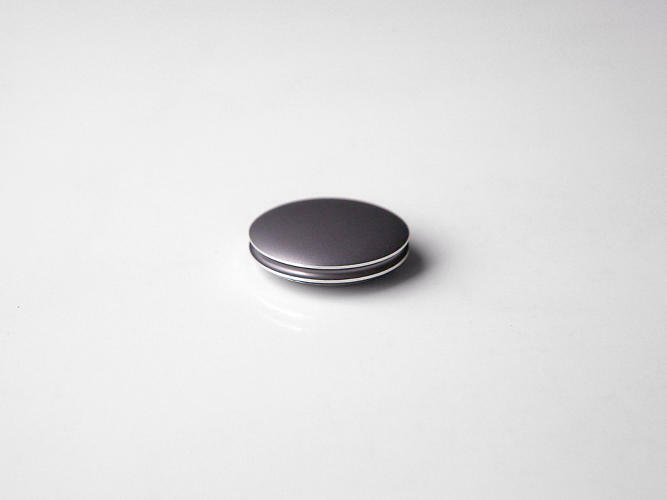 Misfit is gunning for simplicity with the Shine, which measures steps, swimming strokes, and pedal movement on bikes. To prove that it’s truly waterproof, Misfit had the Shine shipped to the Great Barrier Reef, where someone went diving with it. 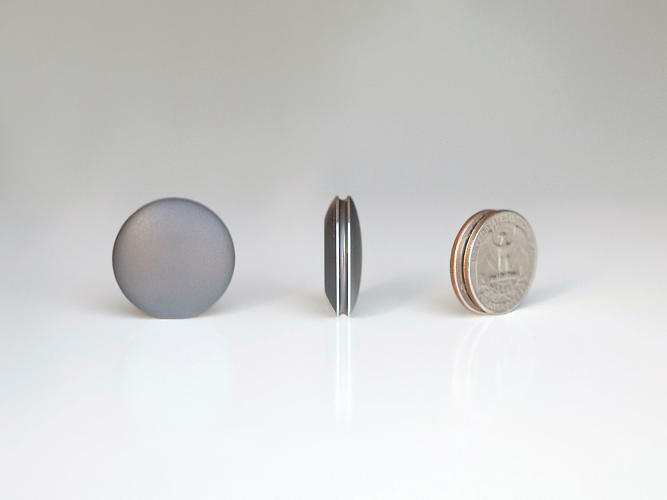 Vu showed me a prototype of the unisex metal device; it looks like a smooth, soft rounded rock, slightly larger than a quarter and not much thicker. It can be worn on the wrist, clipped onto shoes, on a belt, a bra–pretty much anywhere. Misfit provides a clasp and it’s working on both a sportband ($19) and a leather band ($49). The device itself will retail for $99, about the same cost as other self-tracking gadgets. And Vu is right: The Shine is elegant and unobtrusive. “We decided, do people really want to know how many steps they took? No, they just want to know how well they’re doing,” says Vu. Instead of detailing statistics on the Shine, dots on the outer edges of the device (created with an array of micro-lasers) light up as the wearer moves closer to meeting their daily goal. The further along they are, the more lights pop up. When they have reached their goal, the device double-blinks to signal completion. That’s not to say more detailed activity information isn’t available. The Shine comes with an app that offers all sorts of data visualizations and statistics about your movement. Uploading data is easy: Users just place the Shine on the iPhone screen while the app is open and the information is quickly transferred. 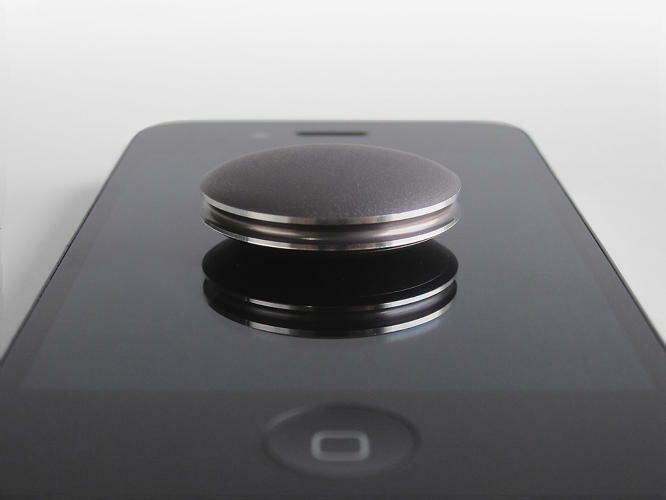 The device lasts six months with no charging. Vu has a track record of success. He previously founded AgaMatrix, a company that created the first FDA-approved glucose meter that connects to the iPhone and iPod touch. Today, AgaMatrix technology is used in over 2.5 million blood glucose meters. 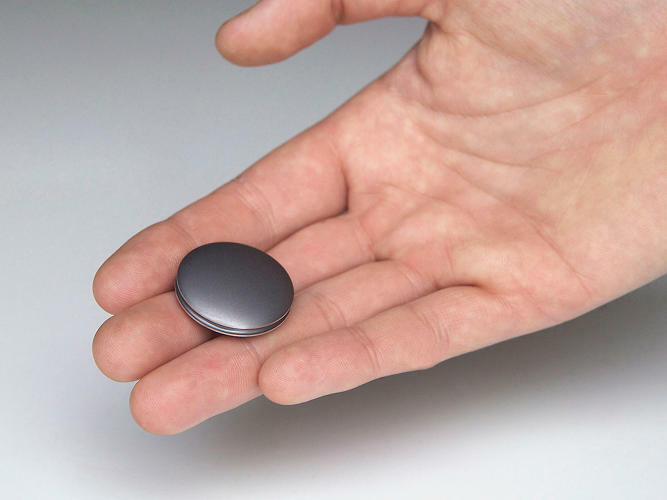 Misfit has working prototypes of the Shine; now it just needs money to scale up (Vu just launched an Indiegogo campaign to raise $100,000). If the Shine is successful, it could signal the evolution of the self-tracking movement–instead of being solely the domain of people who are really into monitoring their health, it could become something accepted by the masses.